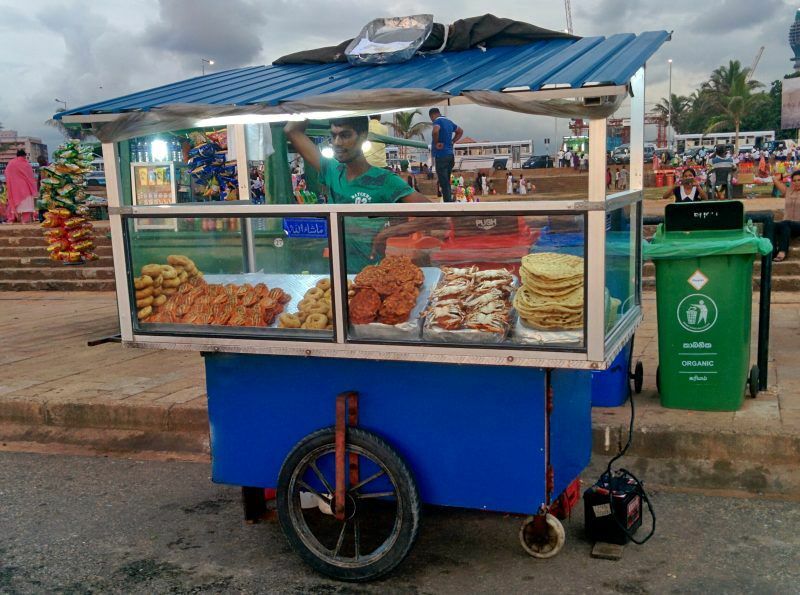 Sri Lanka prides itself in its street food, and not surprisingly. It’s the most egalitarian grub in the world, bringing together plebeian, patrician, and whoever in-between, to savour something different from our everyday run-of-the-mill fare. Who, after all, isn’t fascinated by the solitary hawker who, every now and then, could be still seen ringing a bell to entice little kids to purchase his gossamer candy floss known as bombai muttai? 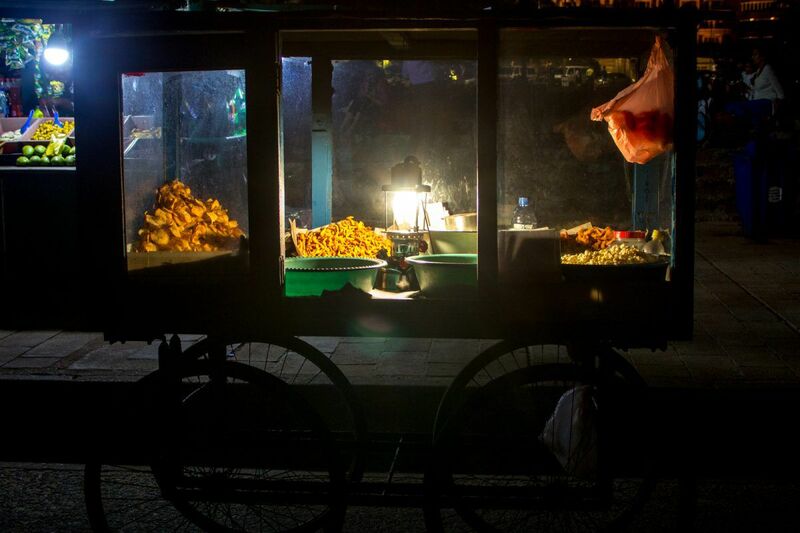 Or those fairytale-like, hand-pushed carts with glass casings displaying an array of crunchy savoury snacks under the glow of kerosene lanterns, such as those seen near the seawall of Galle Face Green? Or the booths closer to the Green, selling all manner of things, from pickles to the prawn cakes we locals fondly call isso vade? Who, after all, doesn’t love to embark on a gastronomic journey every once in a while to taste something out of the ordinary? “The old ramparts of the Fort were then not yet demolished- the Clock tower and light not in existence. The Colombo Light was then displayed from the 4th story of the present signaling station behind Queen’s House. Except to those who arrived by the Slave Island or Colpetty routes, the only entrance to the Course for carriages was through an opening scarcely 12 feet wide situated near the old guard-house which is still in evidence. Foot passengers scrambled over the grassy mounds of the glacis (now leveled) while clouds of stingless mud-flies from the Mangrove bushes growing by the lake pestered the luckless foot passengers. Vendors of refreshments poured in from early noon, and school boys found it none too early to find their way to the spot and regale themselves on parched peas and “Seenee-Sachara-Muttai”. Servants on leave took a day out and gave themselves up unreservedly to picnicking on a mixed diet of sugar cane, “veraloo acharoo”, “cooroomba” and sauarasee conjee – the latter a strange choice of food to be partaken of under a tropical sun”. Sri Lankans love pickles and this goes without saying. Local pickles are usually sour-sweet affairs marinated in vinegar, sweetened with sugar, garnished with hot pepper, and christened achcharu: a word of Malay or Hindustani origin, where achar means the same in both cultures – something pickled. 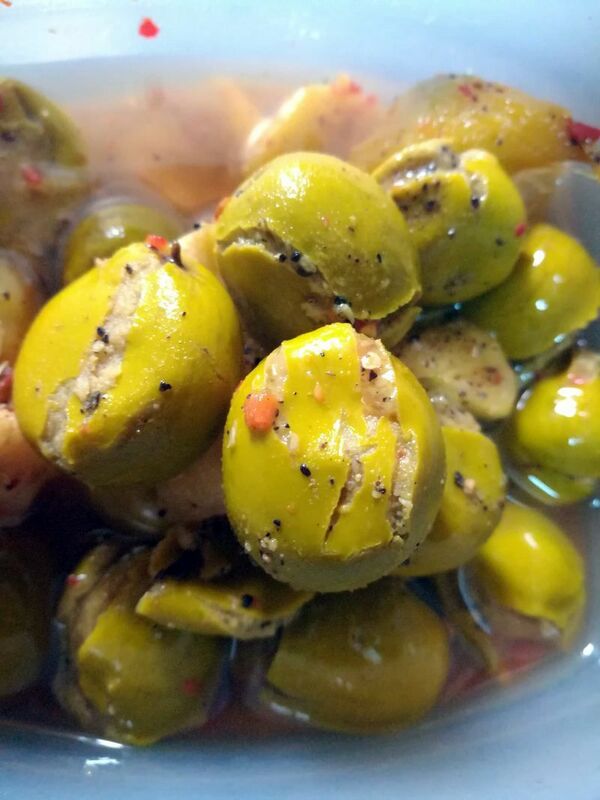 Today we have pickles made of mangoes, lovi fruit, and the veralu or wild olive, which are sometimes all mixed together into a delicious hotchpotch. 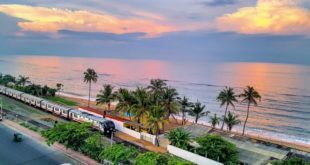 This has given rise to the Sinhala expression achcharu, which has also come to mean ‘mixed,’ such as in political usages referring to coalition governments, or social trends like achcharu-bhasava (‘mixed language of Sinhala and English spoken by our younger generation’). As we saw earlier, Van Dort referred to ‘Veraloo acharoo’ being sold in Galle Face as far back as the 1840s. This shows that the wild or Ceylon olive has been a hot favourite for pickling for quite some time. 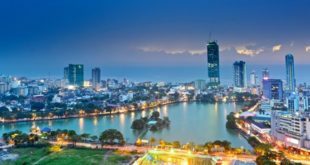 “The street boys near dinner time in the evenings carried trays of pickles for sale and this is done in Colombo, Galle, Kandy and some other towns”. He adds that the street cry in Galle is “Lai lai acchura gannawai” or “Will you buy mixed pickles?”. “Loonu Miris Atcharu” in a childish treble is a cry often heard at night about the hour of dinner. The seller is generally a little girl with a tray of little cups, containing various condiments and pickles, poised gracefully on her head. An Eastern meal is never complete without these spicy concomitants; but as their preparation, although inexpensive, involves time and trouble, many householders are content to buy their requirements. The demand for these highly seasoned preserves is specially keen amongst the poor, as lacking the means to provide the delicacies that tempt the palate of the rich, they find in these piquant substitutes the necessary twang to enhance the agreeableness of plain fare”. 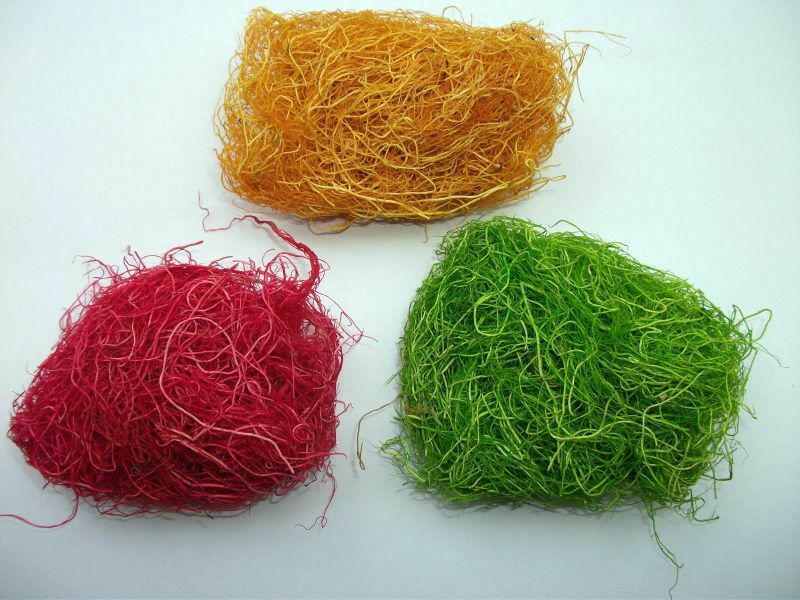 In the olden days, local hawkers used to commonly prepare a seaweed jelly made from the Ceylon or Jaffna Moss (Gracilaria lichenoides), a food item that still survives among the local Muslims (or Moors) who call it sanja. 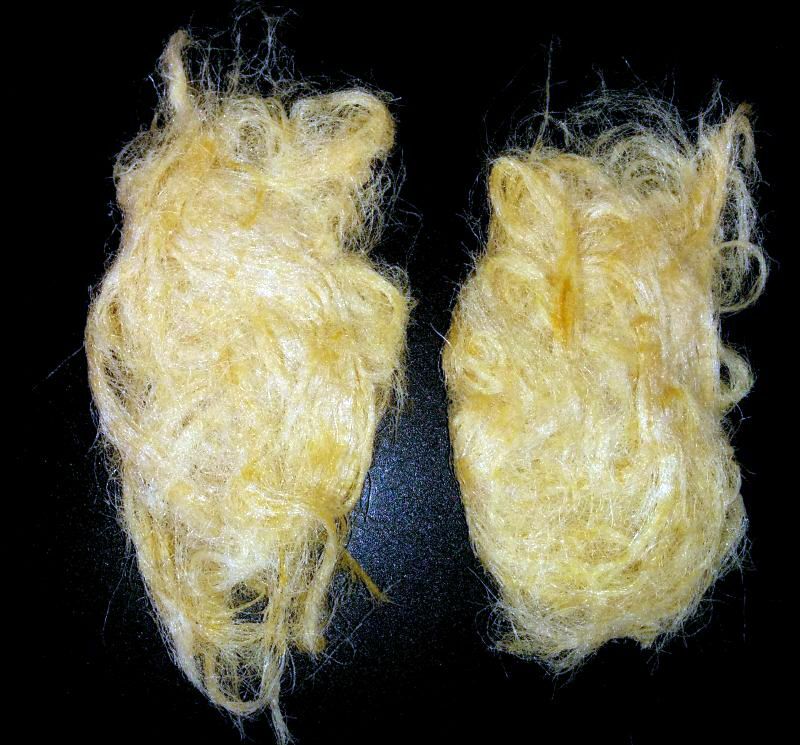 P. E. P. Deraniyagala, in his paper, Cured Marine Products of Ceylon, published in the Ceylon Journal of Science (September 1933), refers to Ceylon moss being called chan-chow parsi locally, a name which he believes to be of Chinese origin. He says that it can be obtained in the markets of most towns and, that hawkers of cool drinks prepare a jelly from it known as chan-chow, which sets without the aid of ice. Deraniyagala’s early 1930s notice of chan-chow is particularly interesting, since it is this item that would eventually become the sanja of the Moors. It is a well-attested fact that the initial voiceless palatal c tends to turn into an s in the refined Tamil of the Moors, while the palatal c following a nasal is softened to j so that chan-chow could have easily become sanja with time. It is very probable that the term chan-chow itself had its origins in the Chinese chin-chow or ‘grass jelly,’ which is made from a plant of the mint family, Mesona chinensis (chin-chow means ‘grass’ in Hokkien) prepared very much like our sanja, though it is often drunk as well. Although today sanja is prepared in Muslim homes on occasions such as the Ramazan festival, it seems to have been sold commercially until about the 1960s. 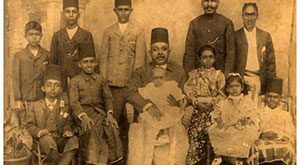 This writer’s mother recalls that when she was a little girl, there was a hawker from Slave Island who would visit their house at General’s Lake Road (Sir James Pieris Mawatha) selling milk sanja that had been prepared in jelly moulds and came in all kinds of shapes and light colours. 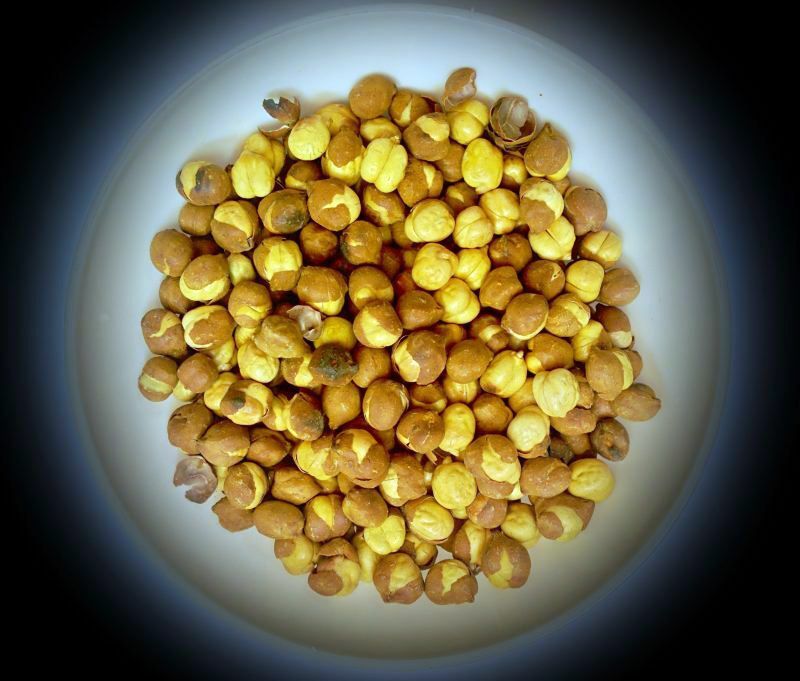 Although kadala generally refers to chickpeas (more properly konda-kadala), it also covers a wide range of gram of all sizes and colours, ranging from yellow to dark brown. Interestingly, this is one item in which the humbler classes of all communities were involved in. “She sits patiently during the greater part of the day selling gram by the half-cent’s worth to passers-by. As might be conjectured from the size of the little bamboo measure, the gram is sold in very small quantities as a delicacy. It resembles dried peas in appearance, and tastes rather like them”. And finally, there was sakkarai muttai or sakaramotan, literally meaning ‘Sugar-Sweet,’ which, unlike our bombai muttai, is sadly no longer made. This sweet made of sugar was also known as älpäl. A Sinhala lexicon, the Sinhala Shabda Koshaya (1979) tells us that this was was also known as sakaramotan. It was evidently a sort of pulled jaggery or taffee. Louis Nell, in his List of Portuguese Words adopted by the Sinhalese, published in the Orientalist (1888-89), describes it as a preparation of sugar, and adds that it came in two forms: in long pieces resembling the English sweets known as ‘sugar rock,’ or ‘butterscotch.’ The term älpäl derives from the Portuguese alfeloa or alfelos: “a type of taffy made from clarified sugar flavoured with scented water, boiled until it forms a hard ball, kneaded on a slab and pulled, allowed to harden and then broken up.” The word sakaramotan which was also used to describe it, suggests that it was a sweet made of jaggery. Thus it is possible that this sweet was a local adaptation of an originally Portuguese sweet that used brown palm sugar instead of the clarified sugar of the Lusitanians. “The cry of kaddela! Kaddela! Kaddelai! which the Tamil pulse-selling woman sends forth is dear even to European children in Ceylon, who, however, listen with still greater delight to the cry of the sweetmeat seller “Seeni-sakeree-metai”. What we can see from all this is that street foods have been known for ages past and relished by many a generation. In this sense, they have stood the test of time and have only increased their appeal over the ages, for which kid or teen or oldie today doesn’t love the ever-so-sweet bombai muttai to let melt in their mouths, or the crunchy bola kadala to munch into pulp, or the soft, succulent amba achcharu to savour with so much gusto? Street foods are a sure way to bridge the generation gap. May they flourish for long!